June 3, 2017 August 25, 2017 - by HAHAPPY - 3 Comments. 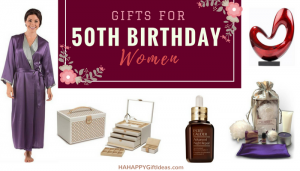 Thoughtful and fabulous 60th Birthday Gift Ideas for Women from HAHAPPY Gift Ideas. 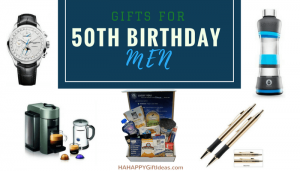 Women over 60 always love to receive meaningful 60th birthday gifts that show how much their family or friends care about them, or something will bring beauty or relaxation to their lives. 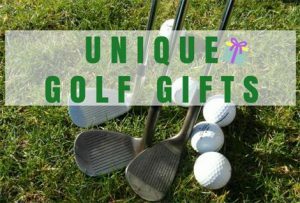 So, whether you’re looking for 60th birthday gift ideas for your mum, wife, sisters, or best friends, here are some great choices for your consideration – From sentimental sculpture to memorable photo frame, blooming tea set, delighted gift basket, touching poem frame, elegant pearl earrings, and some much more tender gift ideas. 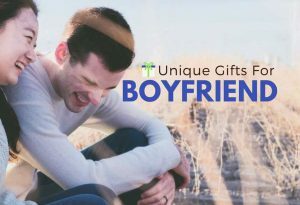 If you’re looking for sentimental gifts for a 60-year-old woman who has everything, search no more. 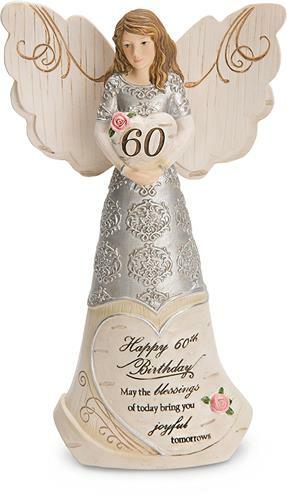 This beautifully detailed high-quality Angel Sculpture by Pavilion Gift Company is the perfect 60th birthday gift that will bring joy and beauty to her home. 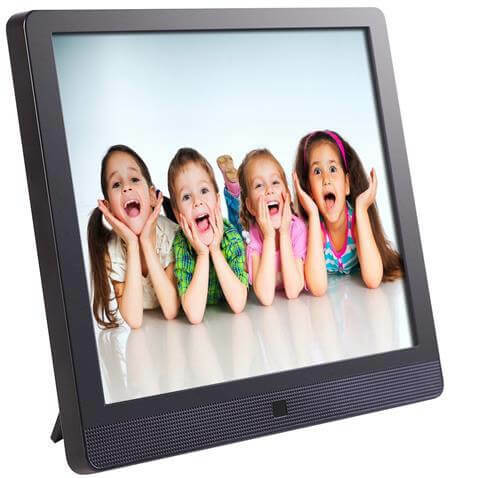 Loading all the family photos to this Wifi Cloud Digital Frame to create a memorable photo album celebrating her 60th birthday. 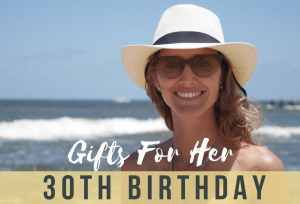 She will love this meaningful 60th birthday gift and have all beautiful photos of her kids and grandkids around her. 60 is a milestone worthy of elegant pearl earrings. 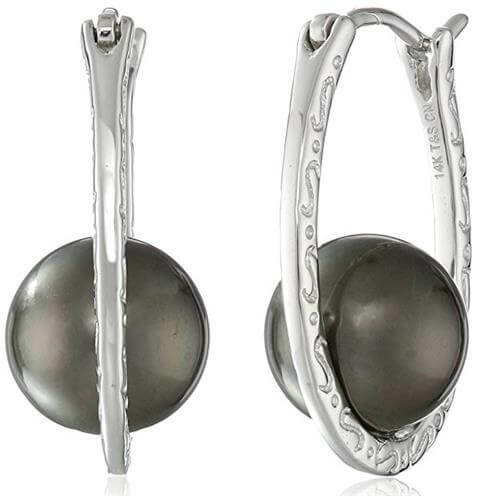 Spoil and surprise your loved woman with these 14k White Gold Tahitian Cultured Pearl Hoop Earrings. The naturally dark color of the Tahitian pearls is a unique quality of pearls, just as unique as your loved mom, wife, or sister. 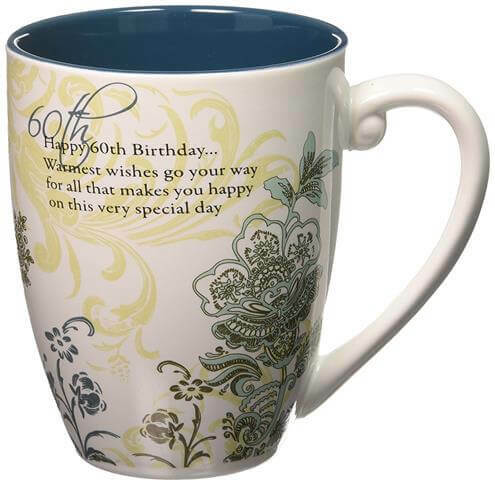 Affordable and useful, this beautiful Mark My Words Mug by Pavilion Gift is the perfect gift for women who in their 60th birthday. Featuring gorgeous floral designs with elegant flowing leaves and vines. 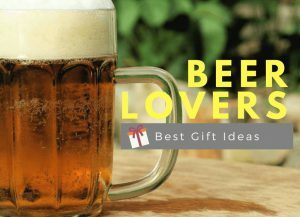 She can use this pretty mug for her favorite drinks every day. 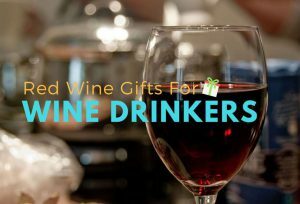 Need a gift set for your loved women who loves to drink tea? 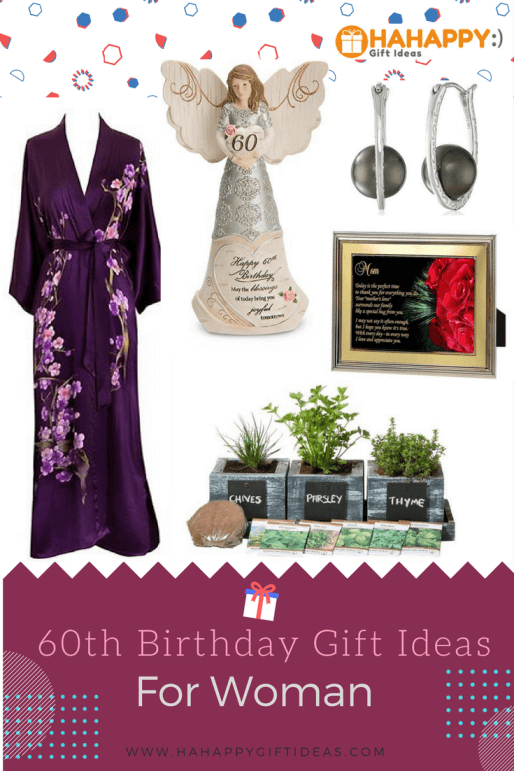 Surprise her with these Teabloom Complete Blooming Tea Set on her 60th birthday. 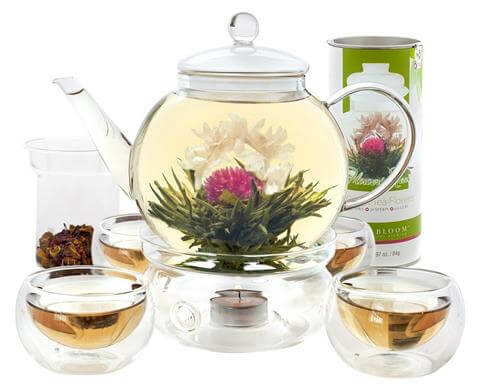 She’ll be amazed at the beauty, aroma, and taste of this very unique and flowering tea gift set. 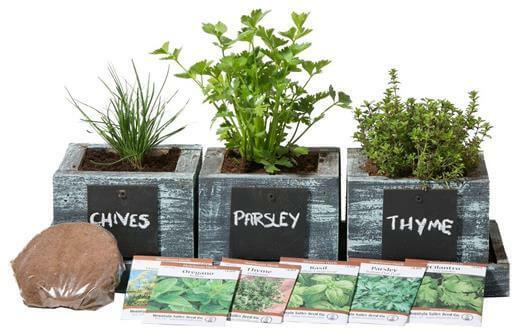 No matter she is a gardening lovers or a cooking enthusiast, give her this Complete Herb Garden Kit and you can’t go wrong. It contains all the essential things she needs to grow 6 delicious culinary herbs and create her own herb garden. She will love to cook extraordinary meals for her family with these fresh herbs. Give her the gift of life on her big 6-0! 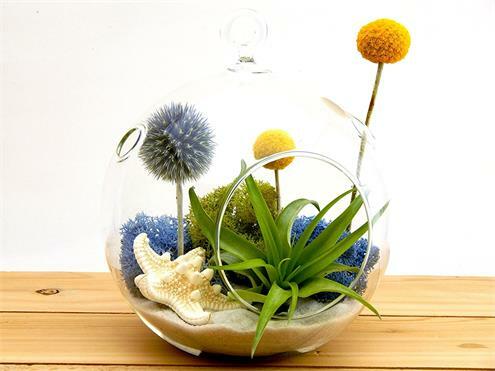 This beautiful Bliss Gardens Air Plant Terrarium Kit not just so nice and relaxing to look at, it also makes a great home decor. It’s easy to care for and only needs water once a week and no soil required. 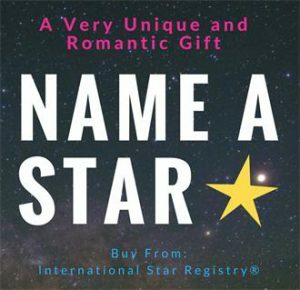 What’s the best, you can include a loving message in your gift order when checking out. A great gift treats both practical and aesthetic, this Old Shanghai Women’s Silk Kimono Long Robe introduces a sophisticated look she’ll fall in love with. This silk kimono is created by a master artisan with a delicate hand painted. Elegant & luxurious, and exquisite. 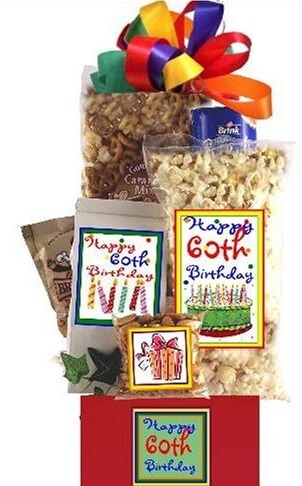 If you have been looking for 60th birthday gift baskets to celebrate her new decade, your quest stops here. This fun and fantastic celebration basket filled with hearty snacks, including fresh roasted nuts, decadent cookies, crisp cheese straws and much more tempting treats. Today is the right time to expresses your appreciation to your mom for all she does for your family. 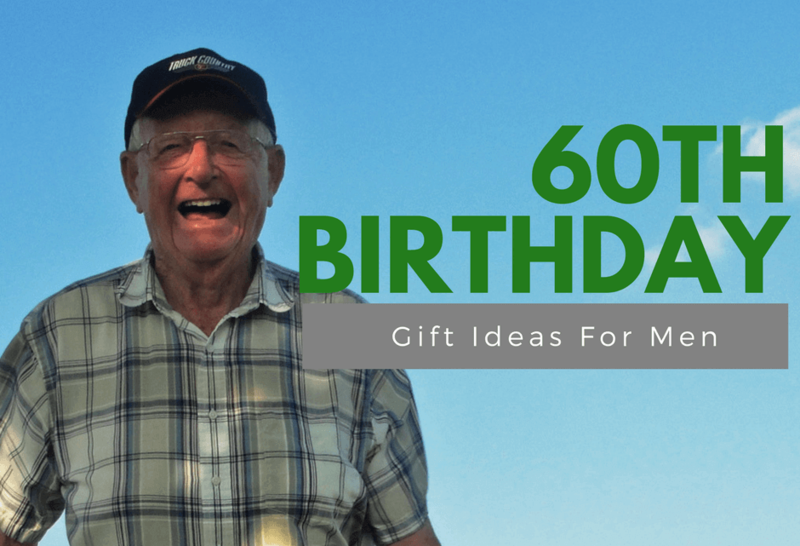 Use the power of the poem to generate touching 60th birthday gift ideas for mom. 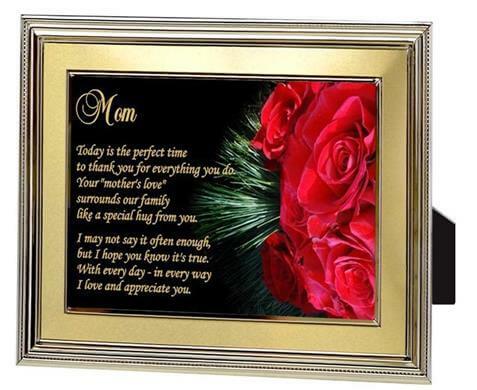 This sentimental Poetry Gift with beautiful red rose design will be the warmest gift for her ever. 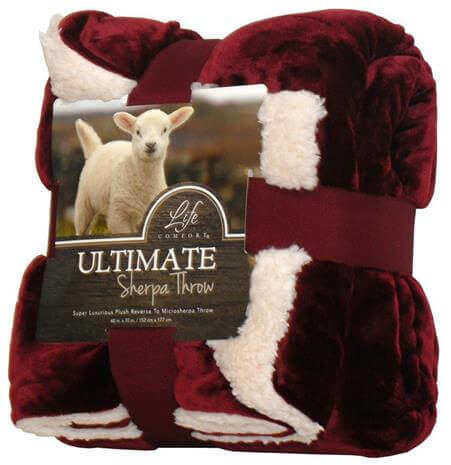 This Life Comfort Ultimate Sherpa Throw will warm her heart. 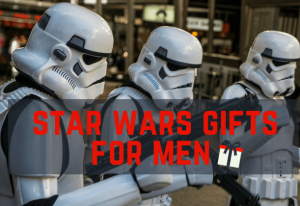 It’s extremely soft, warm and comfortable, definitely one of the best birthday gift ideas for 60-year-old women. She will just want to sit by the fire, grab a hot cup of tea, and read her favorite book with this luxurious blanket. 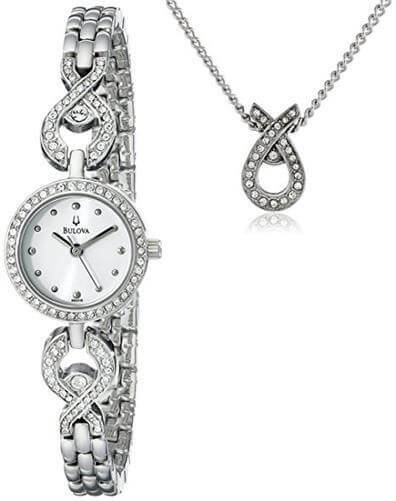 If your budget allows, pamper your loved woman with this shimmering Bulova Women’s Analog Display Analog Quartz Silver Watch Set that she deserves for her 60th birthday. It’s elegant, beautiful, and classic. 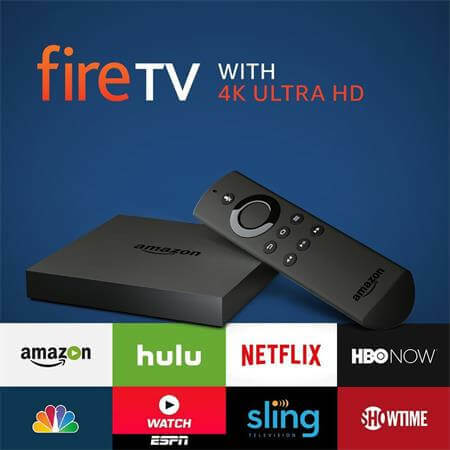 If she is going to retire after turning 60, or she loves TV shows and movies, give her this Amazon Fire TV Streaming Media Player to kill her spare time. Don’t forget to subscribe the Prime Membership for her to stream over thousands of movies and TV episodes. If the birthday lady you need a gift for is a world traveler, give her this stunning, elegant Personalized Travel Maps to show her unique travel story over the past 60 years. 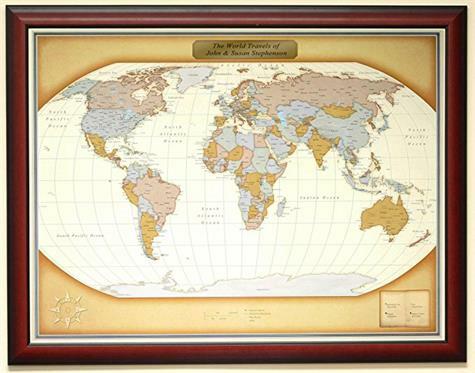 It features a deluxe wood frame and contains pins to display her past, present, and future travel! 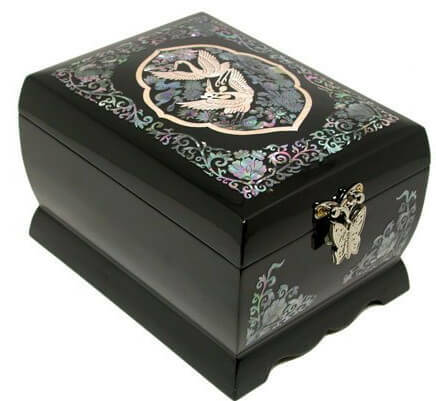 If you’re looking for a keepsake gift for your wife, mum, or best friend’s 60th birthday, this Wooden Black Bird Music Jewelry Case —with the iridescence of mother of pearl designs — is one of the great gifts that every woman should have one at one point in their life. Great workmanship, beautiful details, and amazing music. 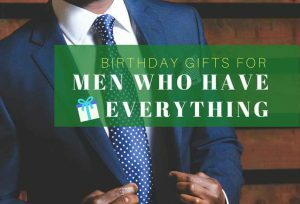 Well, I must say I’m just about to reach my 60th birthday soon, and I don’t think I would love to get as a birthday gifts your picks. 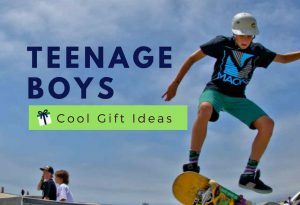 I think more and more “older” people are not interested on the classic old ideas for a birthday present. More and more people are fitter and their interest are other. What about some good shoes for hiking? What about a new IPad? What about an idea to visit a new place not far from home? Thank you for your ideas. we will certainly take your suggest to update the post, thanks. I really like the push pin world travel map for anyone who has traveled quite a bit. This is a great list. Many 60 year olds are still highly active and very busy. So things for keeping in shape or relaxing are good too. It’s just good to think specifically of them and their lifestyle. 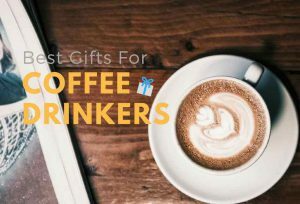 Do they love coffee? go with that thought. Do they love grandkids? go with that thought. Do they love exercise? go with that thought.